Posted in family	| Tagged family, weiwei	| Enter your password to view comments. There is flooring (and paint)! So, lots of exciting things have been happening inside our house (lots of exciting things have been happening outside our house, too, but that’s not the subject of this blog post). 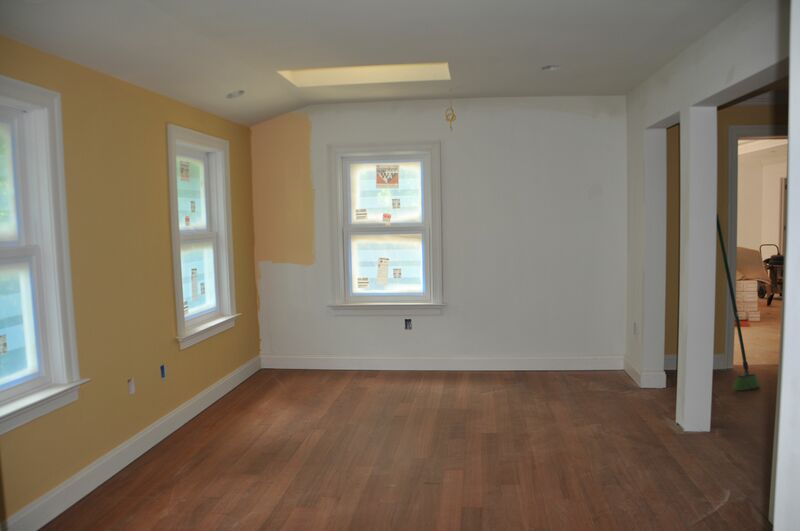 First, this is a photo of the master bedroom sitting room, and you will note that there is wood flooring laid down and paint color decided. Next is a picture of a sky tunnel. 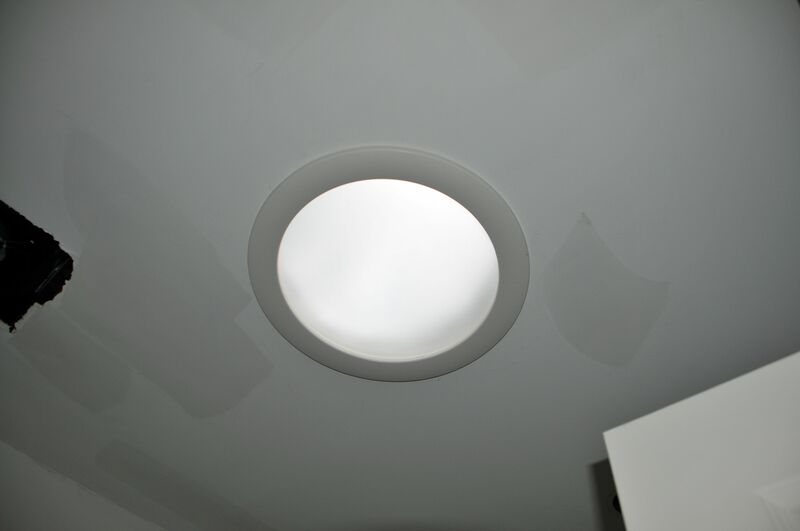 For rooms with no external windows, our contractor decided to snake a large hose (kind of like the type that preschool kids crawl through for fun) from a hole in the roof to the internal room in question to provide natural lighting. To our amazement, it really works! This is from one of the kids’ bathrooms. 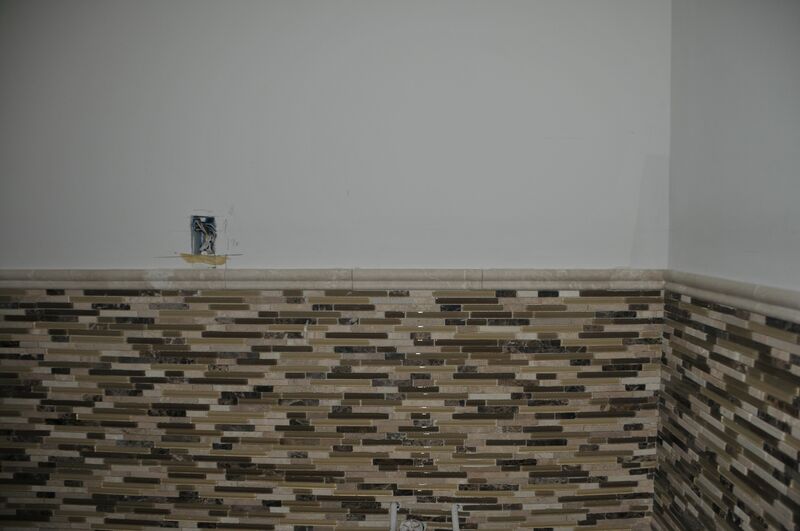 This is the tiling in our laundry room, which will be upstairs on the bedroom floor. We found the walk all the way downstairs with dirty laundry to be SO fatiguing! 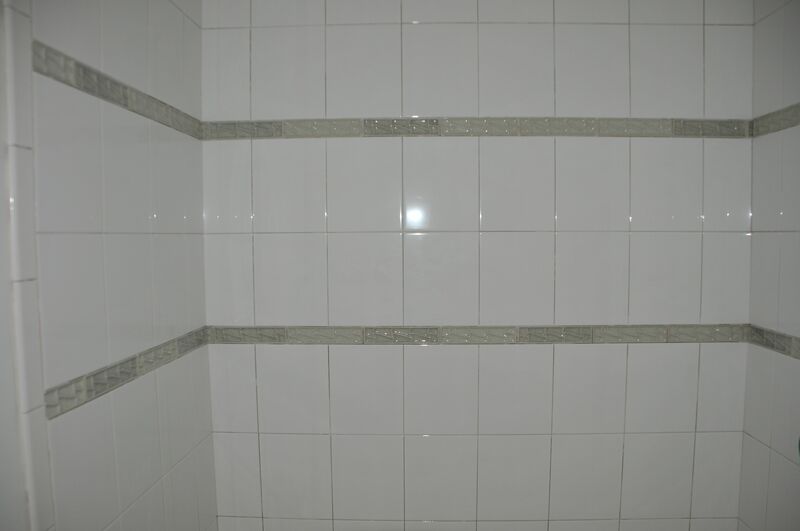 And, finally, the tiling for the master bathroom shower. Currently, the hope is that we will be able to move into our bedrooms by the end of the month. Fingers crossed! We saw The Servant of Two Masters at the Shakespeare Theatre last weekend. The play is by Carlo Goldoni and is an example of Italian commedia dell’arte. It was an interesting play and certainly captured the attention of the audience, some of whom were laughing uproariously through the entire performance. I liked it but didn’t love it. The play’s humor is heavily dependent on slapstick, which is not my preferred form of humor. There are also some fairly raucous parts of the play. The Shakespeare Theatre itself warns that the play is not appropriate for children 14 years or younger. My take on it is that younger children (under 12) would actually enjoy the slapstick and not understand the more suggestive language while the 12-16 year old set would understand the references and might perhaps be somewhat uncomfortable with it (especially if they were seeing the play with their parents). Jim and I were certainly in the minority in our (relative lack of) enjoyment of the play. And the acting was excellent, as it usually is at the Shakespeare Theatre. If you enjoy slapstick humor with excellent acting, this is certainly the play for you. And, at the very least, it’s an enjoyable way to spend a couple of hours.